Square Clear Jar with Clasp Lid, 20 oz....4" X 4" X 4"
These glass jars are the perfect storage solution for snacks, baking essentials, craft supplies, and more! Each 17-oz. 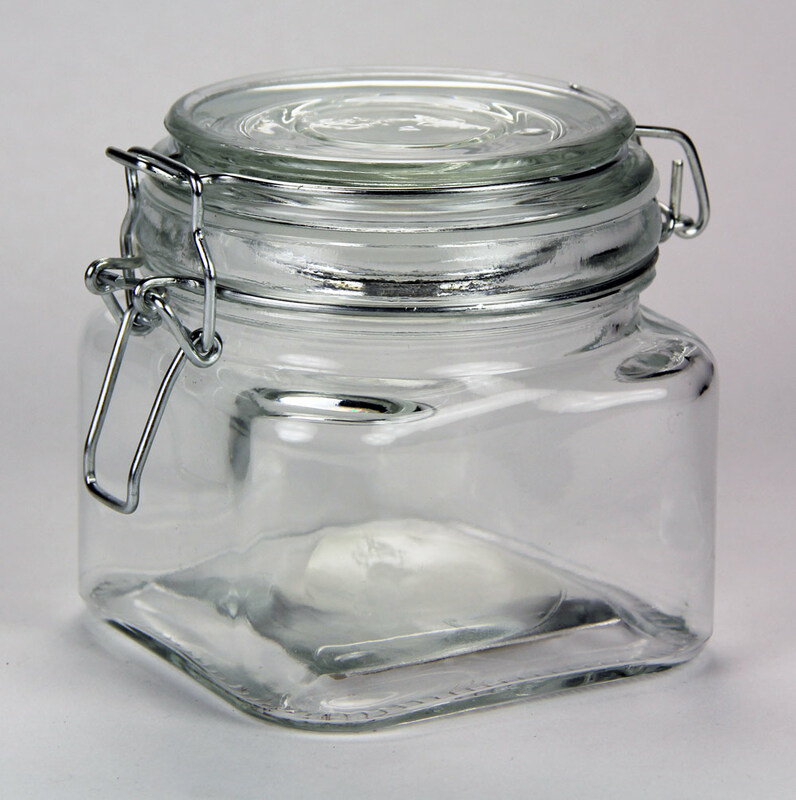 jar has a lid that locks into place with a metal clasp to keep the contents from spilling out.